mwe3: Can you say something about your early years, where you grew up and your early exposure to music and the guitar? Also can you say something about your first guitars and the musicians and guitarists who inspired you early on? KAY DAS: I grew up mostly in India. After some years in Edinburgh, Scotland. I came to England permanently in my early twenties. The Beatles and The Shadows were the reasons why. I could have emigrated to the U.S. but did not. My dad was an army surgeon so I am an army brat. There was not much by way of radio those days, I grew up on a sparse diet of music from the then named Radio Ceylon; two hours in the morning and a few minutes in the evening as our radio did not function too well at the nighttime transmission bands. My Mum, who had Indo-Portuguese parentage, was the first to introduce me to the guitar. Dad was musically inclined too; they would both sing or hum their favorite tunes as they came from different parts of India. Dad was a World War II veteran (North Africa, Italy, Greece) and Mum was in the nursing service. They must have been exposed to Hawaiian music at some stage in their travels. I never asked. One evening they came home with a battered guitar which had its strings raised at the nut. They forgot to buy a steel so my father got a table knife out and, with no prior musical training, started playing a tune. My mum took up the Hawaiian guitar, as it was known. As a child I was forbidden to play the new acquisition, and it would be kept on top of a cupboard. I would climb to get at it when they were out. One day I was a bit late getting it back, but they did not chide me too much. Instead Mum began taking me to watch the lessons she was taking. 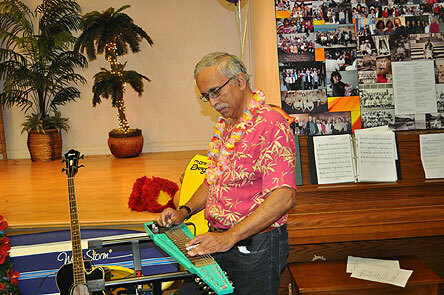 They later bought me a proper Hawaiian guitar, which I played at a public school concert. I was ten and the chair was a bit high so my legs dangled a bit. My first favorite guitarist was Les Paul. Later Chet Atkins, Duane Eddy, Los Indios Tabajaras, and of course Hank Marvin in my later teens. Steel guitar had a following (and still has) in Calcutta/Kolkata likely because Tau Moe, a Hawaiian music pioneer from Samoa, settled there. One of his disciples was Garney Nyss who has to have been my earliest steel guitar influence. There was a 78 rpm shellac record that I would play endlessly on a wind-up gramophone with Moana Chimes on one side and St Louis Blues on the other, Garney playing solo steel with The Aloha Boys. I still have it. mwe3: How did you become interested in the steel guitar and can you say something about some of the differences between the various steel guitars and how does that sound compare with the more traditional electric guitar sound? 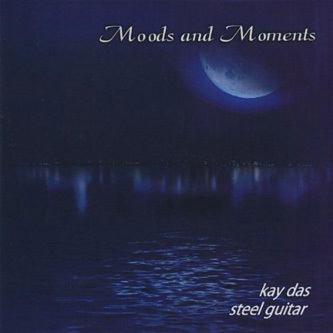 How about a few of your favorite steel guitar guitarists and most influential steel albums? 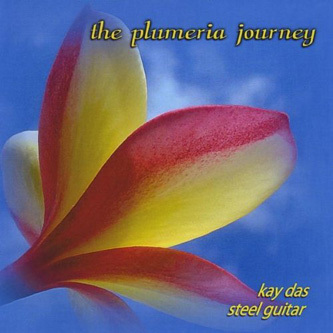 KD: The sound of the steel guitar with the glissando caught my early attention. And once you are bitten by that bug it is very difficult to recover! I think Hank was also attracted by that. He achieved the effect on a normal guitar using the whammy bar and by string bending. A lap steel guitar is played sitting with the instrument on the lap, as the title implies, though I personally prefer playing it standing up and being mobile with the music. The pedal steel guitar has legs and needs to be played sitting down. It took a cue from the harp and introduced pedals and knee levers with a system of pulleys that stretch or slacken the strings. For example you can get an A chord or an E7 or D chord without having to move the steel bar up or down the neck, and just operating the correct pedals/levers and picking the right combination of strings. 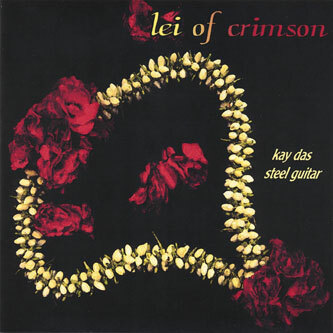 Some of my favorite steel guitarists are Buddy Emmons, Hal Rugg, Bobbe Seymour, Greg Leisz ( who plays both lap and pedal), Paul Franklin, Jerry Byrd, Alan Akaka, Greg Sardinha, Bobby Ingano (all lap) and several others. I was coached by the late Winnie Winston on the pedal steel. I play mostly the lap steel, on which I am self-taught, nowadays as I find it versatile for a larger range of musical genres including standards and blues. It is also more portable. I do not have a particular favorite steel album I can recall. I think I go more by the artist than an album. 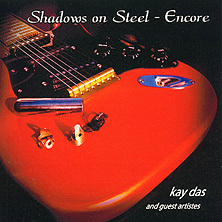 mwe3: What guitars you are playing on the Shadows On Steel Encore album? What steel guitars do you use on your albums and what are some of your favorite guitars, both electric and steel guitars and how about your choice of amps and favorite sonic effects or guitar enhancers like pedals? KD: Okay, you took the cue! I had for a long time wondered what a Stratocaster would sound played as a steel guitar. So, I had Bob Littleton of West Coast Guitars make me a custom one. I wanted to preserve as much of a normal Strat as possible, the main difficulty being that I needed 8 strings that I prefer on a lap steel... So Bob built a custom neck (with double struts to take the extra string tension), had pick-up whiz Jason Lollar wind custom 8 pole pickups. It has the exact same layout and design as a Strat with three pick-ups and the 5-way selector switch and we named it the Steelocaster. The only thing it does not have is the whammy bar, as I have the steel bar to do the glissando stuff. I mainly used the Steelocaster on the Encore album. I also own a 2005 Strat on which I play on a few tracks, like Colour My World. I am a Fender man and own three of them. At pre-Shadowmania last year I plugged into Vox AC30s... I like them too. I would not go anywhere else. I tend to be minimalist on the use of pedals while recording or on stage. The only one I use occasionally is a volume foot pedal (Boss FV-300L). For my recordings I use an optical compressor into the mixing board to protect from overloads but I record the steel with as flat a characteristic as possible and add on-board effects after, most often a plate reverb. For a Hank-type sound, however, I do use an Alesis Quadrverb GT before going into the mixer. mwe3: What musicians are you playing with on the Shadows On Steel - Encore album and can you say something about where and when it was recorded? 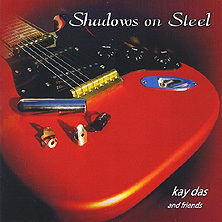 KD: Shadows On Steel - Encore was a follow-up to the earlier Shadows On Steel album and I had a lot of fun working with musicians in many countries, working most often over the internet. Amazing what you can do nowadays! I do not use mp3 for any recordings, so we had to exchange files by snail mail, e-mail, or personally getting together. For both albums I have often, though not always, used backing tracks like UBHank (Gary Taylor/Trevor Spencer) of Perth or Chick Holland in Wales. Others I have collaborated with are Derek Kerner, Ian Plant, Ecca (UK), Charles Campbell (Ireland), Peter Korving (Holland), Ove Kalander (Sweden) and oh gosh, I hope I have not omitted anybody! One of the great side benefits of good precise backing tracks, apart form the quality, is that you can go anywhere and the backing is the same, so you can play the lead almost impromptu. Martin Cilia of Australia recently visited here and we were able to play Sleepwalk on stage not having ever played together before! I have similar experiences in Italy and the UK, where I follow Shadows groups around. I have a 32 track home recording studio and all the recording and mixing was done here. My son, David (www.daviddas.com) did the mastering in his Burbank California studios. I tend to record over a period of time and then assemble when I have enough tracks of a certain genre completed. For example, Encore is a collection of Shadows and Shadows-like tunes recorded over a period of four or five years. I also have released non-Shadows albums such as are available on cdbaby.com, amazon or i-Tunes. Leos Den in the UK also sells some of my CDs. mwe3: Your love of the Shadows music is just great. When did you become a Shadows disciple and what are some of your favorite periods of Shadows music, favorite songs, albums and even Shadows movies? Have you met Hank and the other Shadows and other historic musicians involved in the Shadows illustrious history? so many! The thing about the Shads is that they improved as they went along, you grew up with them. I have seen all Cliff and The Shads movies, loved every one of them for the innocent sense of fun they portrayed. One of the great things about Hank is the utmost care he takes over every note he plays. He is capable of the most intricate riffs but when he plays the slow full notes with expression you know you are hearing the best. In his words, treat every note like a symphony and that is so applicable to the steel guitar in particular which has so many dimensions of expression. And the man has so much talent still unraveled. Hanks Guitar Player was another album that was something else. I loved Petite Fleur. Yes, funny that you ask about meeting Hank. I have met Hank and yet I have not. I used to work in the music industry in England in the seventies for a company started by Rupert Neve. We had multiple orders from EMI and Abbey Road was one of the recipients of a Neve desk for which I was project engineer. It would have been 1975 when they were recording Let Me Be The One for the Eurovision Song Contest. I was working late at Abbey Road one night, and took a break to make a phone call at one of those coin phone booths (there was one inside the Abbey Road studios) to my wife who was in Italy, and it cost something like one pound sterling a minute. I had expended the first pound in my pocket when Hank passed by and gave me a smile and a thumbs up. He must have been on his way out because I tried to find him after the call to shake his hand. I have been to four Shadows concerts over the years. I did meet Bruce Welch at Shadowmania last year. Nice guy. I plan to be at Shadowmania again this year. mwe3: How many solo albums do you have in print and can you say something about the various albums you have recorded and over what period of time were your albums recorded? What are the favorite albums that youve recorded and would you consider a box set to shed some further light on your music and are you planning any other Shadows tributes in the future too? KD: I have recorded fourteen instrumental steel albums since the early 2000s, one of them on commission to Pump Audio of Getty Images. In all I have well over two hundred steel guitar instrumental tracks. I have never counted. I like to believe that I continuously improve as I play. Difficult to pick out a favorite, but the two Shadows On Steel albums rank high. 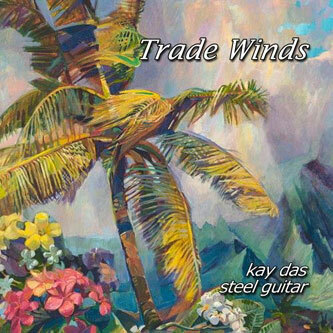 I have recently issued a Hawaiian-only album called Trade Winds available at cdbaby, amazon and i-Tunes. Yes, I would consider a box set. Yes, I have recorded more Shadows and Shadows-like tunes since Encore. When I have enough tracks completed I will compile a next. Cant think what I might call it next time round, though! mwe3: What plans do you have for your music and your other activities for the remainder of 2012 and beyond?